I believe that every mum should be a yummy mummy, inside and out. I’m Sara Keli and I am Editor and Chief Kid at Kid Magazine. I blog, photograph, write, design, edit and make a mean cup of tea. 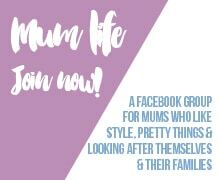 I am a mum writing for mums who like style, pretty things and looking after themselves and their family. My journey with Kid Magazine has been the happiest of accidents. It all started when I bought Kid Magazine back in 2011 just to try something new. I loved writing so why not? In December 2012 the first issue of the Kid Magazine online mag was launched. Since my daughter was born in December 2013 I have really hit my stride. As a blogger I will bring you snippets from my day-to-day life as a mum, blogger, magazine editor and woman. In Kid Magazine you will find the best and latest products for kids and mums, exclusive features from industry experts and stories from other real mums. Combined, Kid Magazine is a place to laugh, discover and indulge. I work during nap times and at night so I can spend every precious second with my beautiful girl. She loves to “talk”, “people watch” and can bring a smile to anyone’s face. I’m a breastfeeding advocate, take each day as it comes, go with the flow kind of mum. I’m married to Pete who runs in fear every time I say, “I have an idea”. He is a patient man who I love being on this journey of parenthood with. I am also mum to three fur babies who have adjusted to our new reality much better than I gave them credit for. Nigella (the cat) is a displaced previous favourite child who sneaks in cuddles on the couch with me at night. Bo and Bella (the dogs) still love us despite the less frequent walks and playtime. I am a Japanese-speaking, fabric-hoarding, book-loving woman with a degree in Human Resources. I love everything pink, drink way too much tea, don’t drink as much wine as I used to and can never sit still for more than 10 minutes. If you want to know more about Kid Magazine then please do get in touch!